Lori Cohen, and a great-grandson. - Services will be at 2 p.m. tomorrow at the Birnbaum Funeral Chapel, with Rabbis Alexander M. Goldstein and Theodore S. Levy and Cantor Harold Lerner officiating. 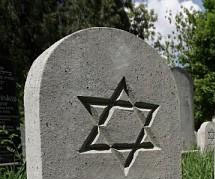 Burial will be in Temple Adath Yeshurun Cemetery. Calling hours are 1 to 2 p.m. tomorrow at her sons home 224 Edgemont Drive. Contributions may be made to the building fund of Temple Adath Yeshurun.